Baby photography is a walk in the park compared to trying to photograph your favorite pet. Sure, cats are easy. They stay still as they smugly look into your camera lens. But try to get your 3-year-old Jack Russel mix to sit still, and you will learn the true definition of frustration. So to take these adorable photos, I rely on list of tips and tricks that make working with live animals – especially high-energy, ADD puppies with bow-tie collars – just a little easier. – Pick up some props: This tip isn’t nearly as expensive or time consuming as you would think. For the fall photo shoot, I used pumpkins I had purchased in preparation for Halloween, and a $1 package of decorative leaves from Walmart. For my annual Christmas card, I am planning on setting up a single strand of white lights and scattering some ornaments. It doesn’t have to be expensive or extravagant, it just helps the frame pop. 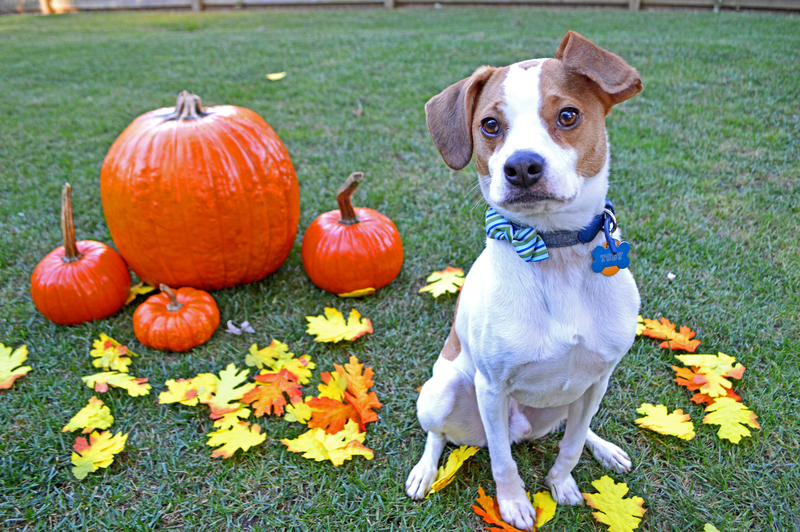 – Setup before you attempt your photo shoot: I scattered the leaves and set up the pumpkins before even attempting to get Toby’s attention, which cuts down on the time you actually have to keep your pup’s attention. – Keep the treats handy: Toby’s eye line is a direct result of a sit command and a treat placed on my camera lens, nothing more. Keep the Beggin’ Strips coming. Depending on your dog, it may be your only hope for one still moment. 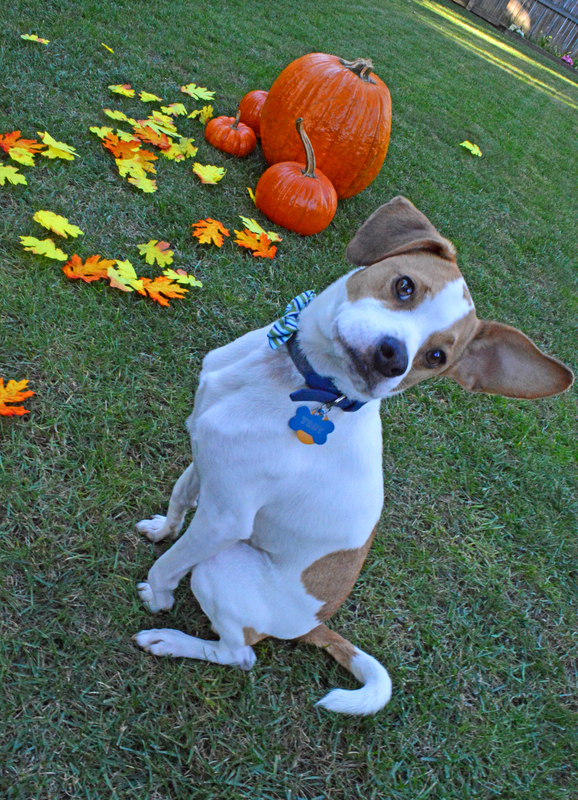 – Don’t be afraid to adjust your image: I dreamed of a photo of Toby in the middle of tightly placed pumpkins, or chewing on a decorative leaves. Instead, he was scared of the pumpkins and hesitant to step on the leaves. I took 75 photos and ended up with four I enjoyed. None of them were what I pictured, but all of them got compliments from my family and friends! Feel free to ask more questions, and have fun!